SEOUL, South Korea, (BulgarianMilitary.com) – On Sunday, South Korean government and industry sources reported the local media that the Asian nation and Spain are about to hold talks for a possible swap deal concerning the exchange of trainer jets with transport planes. The discussion is said to take place in Madrid, this month, on a joint military defense committee meeting between the both countries, where they will discuss different bilateral issues, learned BulgarianMilitary.com. According to arms procurement official, at the moment the swap deal is not on the agenda of the forthcoming bilateral meeting, which is due to be finalized by the end of this week, but the both sides are open to discuss it. The source also revealed that the exchange may involve near 50 basic and advanced trainer jets produced by Korea Aerospace Industries and four to six Airbus A400M Atlas airlifters of the Spanish armed forces. Another source, related to the industry, said that the proposal came from Spain, in attempt to replace its Air Force’s aging fleet of Chilean ENAER T-35C Pillan jets, and it was made at the Farnborough International Airshow 2018, held in the U.K., last July. For that purpose, Spain seeks to buy 34 KAI KT-1 Woongbi, which are basic trainer aircraft and 20 more KAI T-50 Golden Eagle supersonic light combat aircraft for advanced pilot training. On the other hand, it is a known fact that South Korea wants to acquire a new larger transport aircraft for longer-range missions, and is considering buying the Spanish Airbus A400M or the U.S.’s Boeing C-17 as such. 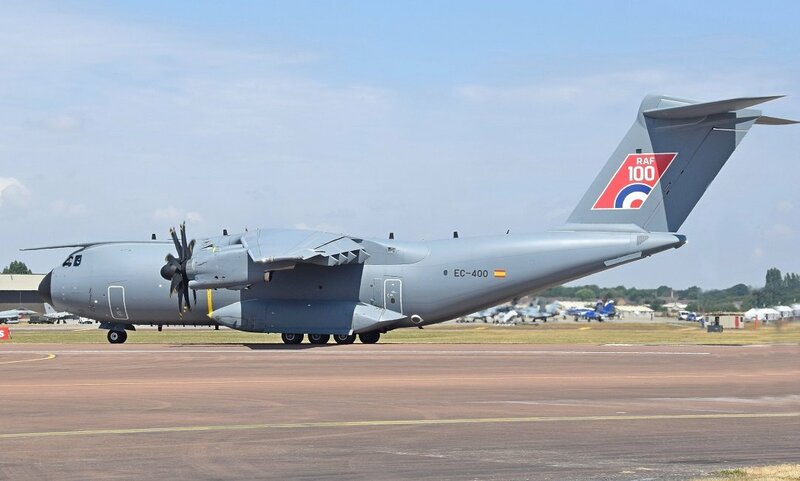 Initially, under the A400M program, Spain has ordered 27 Airbus’ cargo planes but then it has decided not to use all of them, so the surplus of 13 A400M tactical airlifters is about to be sold to other countries, with the approval of the manufacturer. And to South Korea, Spain plans to sell four to six of its A400Ms. The cited source also reports that if the swap deal is concluded, its total amount would be about $890 million. On the topic, a KAI spokesman told that any swap deal was delegated to the South Korean Defense Acquisition Program Administration (DAPA) and its Spanish counterpart, and now the Korean company was waiting on the results. On 19 October, the South Korean Air Force revealed the intention of the service to expand its current fleet of transport aircraft by the acquisition of four more large cargo planes under an airlift procurement program. Its preliminary research on the requirements is set to take place between 2019 and 2020 and the request for proposals for full operational capability – by 2022. The Airbus A400M is rated as a strong competitor, observing the fact that the production of C-17 Globemaster III is currently stopped by Boeing.